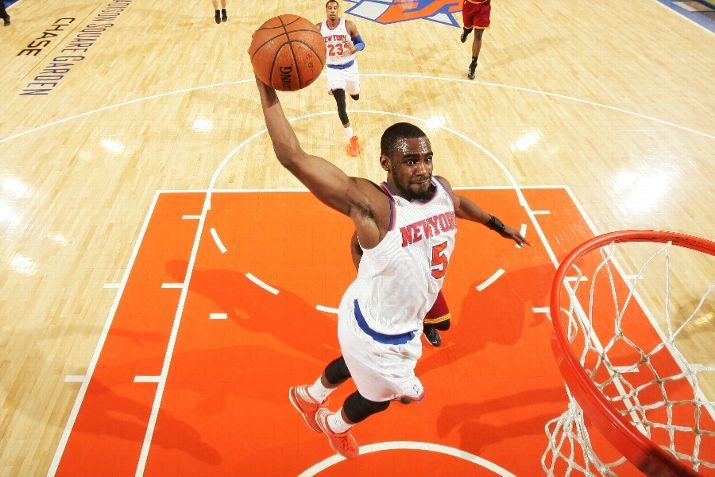 X-rays for Tim Hardaway Jr.’s right ankle were negative following the New York Knicks’ 92-83 win last night over the Utah Jazz. The injury occured when Hardaway planted all his weight on the area after jumping to receive a pass during the game’s waning seconds. He limped off of the court with the assistance of players and trainers. After spending part of the evening in a wheelchair, Hardaway has not ruled out playing in Wednesday’s game against the Brooklyn Nets. Bad ankle sprains can take a long time to heal so I’d rather the Knicks err on the side of caution and have him sit for at least Wednesday’s game. Amar’e Stoudemire should be back from his knee soreness which will give the team an offensive boost. As far as the backcourt goes, we’ll just have to hope Shumpert can pick up the offensive slack.. Tagged as: 2014, ankle, ankle sprains, Knicks, Knickstape, Melo, new york knicks, sprain, Tim Hardaway, Tim Hardaway Jr.